A Capcom rep has stated that uncapping Dead Rising 3's PC framerate cap won't have any adverse effects - provided your PC is beefy enough. 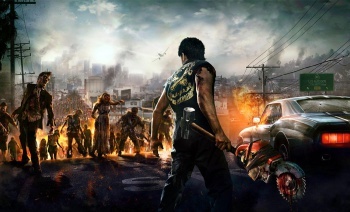 The other week during E3, Capcom said that the upcoming PC version of Dead Rising 3 would run into issues above 30 FPS. Now, Capcom representative Wbacon has "set the record straight," by stating that while Dead Rising 3 is optimized to run at 30 FPS, uncapping the game's frame rate will not necessarily lead to issues - provided of course your PC is beefy enough to handle it. "Allow me to set the record straight -- while Dead Rising 3 is optimized to run at 30 frames per second for gameplay reasons, you can expect it to still run fine uncapped under most conditions provided you have a capable enough hardware. We can't guarantee that there won't be issues, and obviously depending on your rig you may see different results. Rest assured the beefier your gaming machine, the smoother your zombie killing experience will be." In a Steam Community post, Wbacon posted several video examples of the game running in uncapped mode on a fairly powerful PC. He said that on this particular PC, the game ran fine from start all the way to the end without any "showstopping" issues. Wbacon also clarified exactly what Capcom means by "recommended" system specs. "If your system meets the recommended specs, you will be able to play the game at High settings and at 1080p resolution. That's what we've formally tested at, and that is the consistent experience you can expect from the minimum and recommended specs outlined on the store page," he stated. During E3, Capcom representatives were quoted as saying "We just really don't know what's gonna happen [if players remove the frame rate cap]. You might see some weird stuff with physics, some weird stuff with zombies."